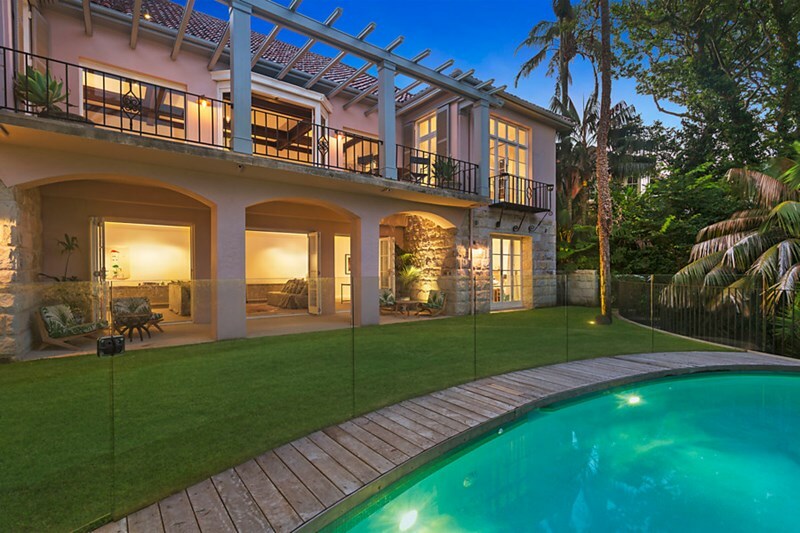 Bellevue Hill is making its claim to be the ‘Beverly Hills’ of Sydney. Especially when you compare the properties on offer and how similar they really are! We found two homes, one in the American glamour capital, and the other, a local home and compared them, and we bet you can’t tell which one belongs where! Well as it would be, the home on the left is actually an infamous home which belonged to Iranian designer Bijan Pakzad, it was put on the market by the owner for a hefty fee of $12 million. It was purchased originally for $7 million from Mexican pop singer Luis Miguel and overhauled the home to reflect his personal style. Inside the mega mansion you will see the unique style. The Italian-style villa is marked by a grand entrance with an iron gate, stone pathways and extensive landscaping. The grounds feature bougainvillea vines, orange trees and 335 flower pots brimming with flowers that are changed out depending on the year. But…. what about the estate in Bellevue Hill? Well that belongs to the address of 125 Victoria Road, Bellevue Hill. It’s a 1920s masterpiece being offered to the market for the second time in 80 years. Privately set amid 1,070sqm of exotic gardens enhanced by a perfect north east aspect and breathtaking harbour and ocean outlooks, this sprawling home provides a secluded sanctuary of refined elegance with the finest of finishes. So what’s inside? So the question is, would you be going to Beverly Hills or Bellevue Hill?